I purchased a home where the previous owner ran the plumbing for a basement bathroom. Installed is an ejector pit, two 2" pvc pipes, one 1 1/2" pvc pipe and one 3" toliet flange. My questions are 1) is this set up for a toliet, sink and shower and if so 2) how are these fixtures vented? 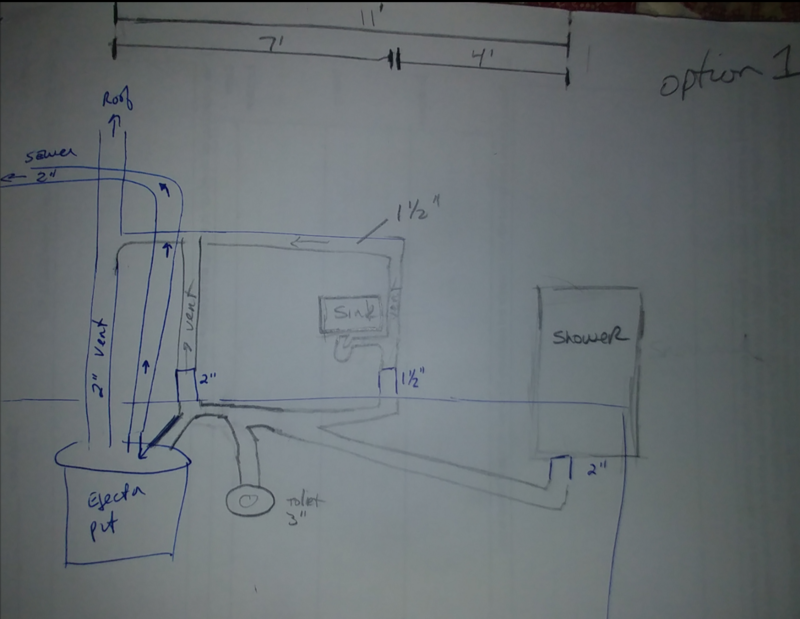 I have included two pictures of how i think it should be vented (all based on where the sink drains into. Thanks. Browse other questions tagged basement or ask your own question. How should I build a raised subfloor for my basement bathroom? 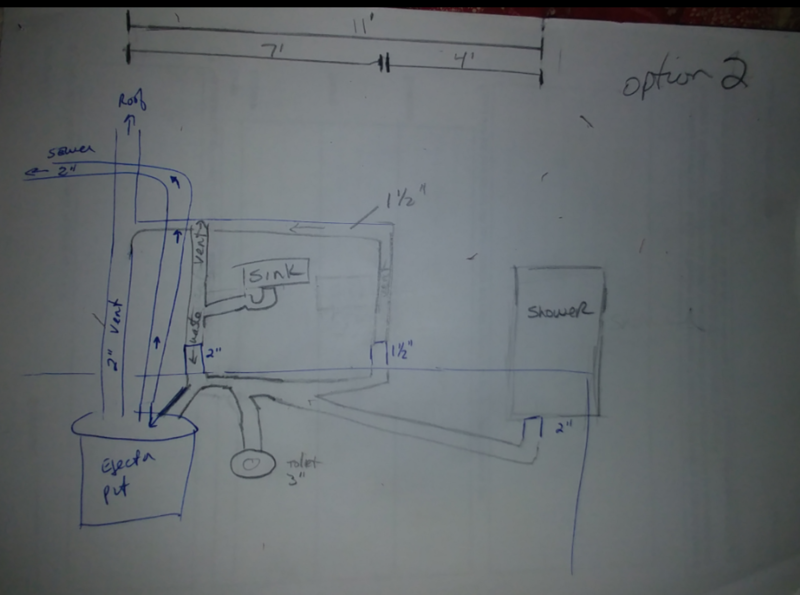 How do I turn builder rough-in plumbing into a basement bathroom?